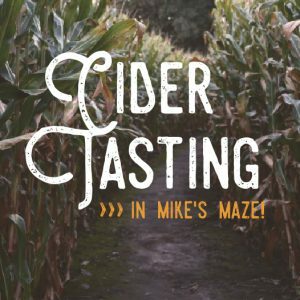 Our 2018 Beer and Cider Maze nights were a blast! Please check back next season for information on future Tasting Events. Each date is a separate Event that requires an advanced ticket purchase. Please see Important Information below. Ticket price includes entry to the maze and one 6 oz pour from each brewery station. We’ll have a special menu to provide food for purchase. Rain date for this Event is Saturday October 27. 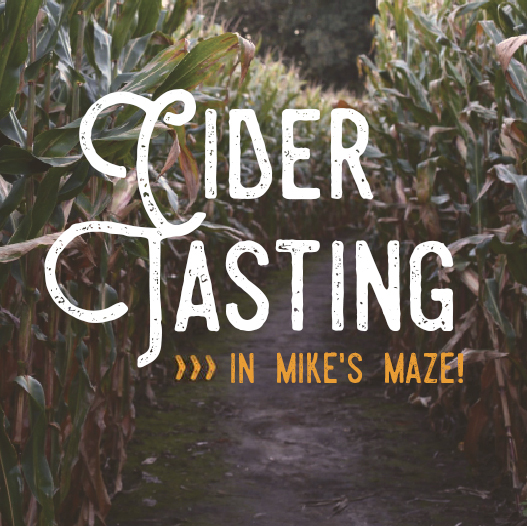 Ticket price includes entry to the maze and one sample pour from each cidery station. We’ll have a special menu to provide food for purchase. Rain date for this Event is Saturday, November 3. ♦ Tickets for Special Events must be purchased in Advance. ♦ All events begins at 6pm and guests are advised to arrive before 7pm to enjoy the evening. You MUST ARRIVE BY 8pm to be admitted into the event. Tasting vendors will leave at 9pm. ♦ This event is limited to Guests 21+. You must present a valid Id to enter. ♦ Tickets for this event are non-refundable. ♦ Tickets are transferrable ONLY for the RAIN DATE as posted on our Website. ♦ Flashlights will be provided. ♦ Food is not included in the ticket price. ♦ Mike’s Maze added attractions are not available during night-time events.